Who doesn’t love a great dog movie? When I was growing up I watched every dog movie I could find, and as an adult I still find myself gravitating towards any movie with a dog on the cover. Luckily there’s plenty of great dog movies to choose from. One of my favorite ways to spend an evening is to cuddle up on the couch with my dog and watch a light-hearted dog movie. It doesn’t get more relaxing than that. If you’re looking for some fun dog movies to watch you’ve come to the right place. 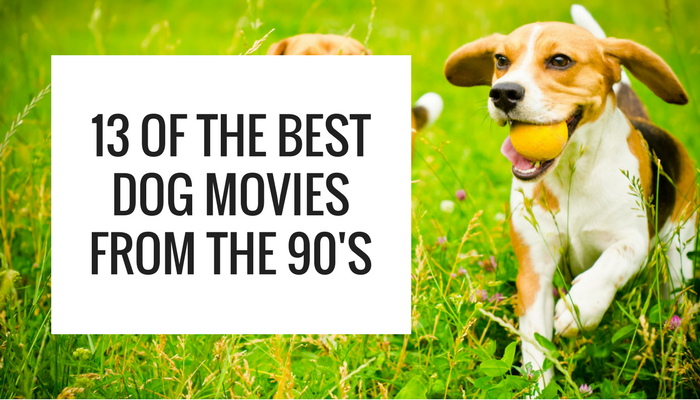 From animated features to live action classics, here’s the 13 best dog movies from the 90’s. 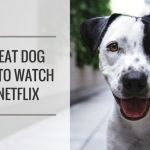 And if you’re looking for even more great dog movies be sure to check out our list of 7 great dog documentaries available on Netflix. Homeward Bound is one of the best dog movies of all time in my opinion. It’s got a lot of laughs and a lot of heart. Homeward Bound tells the story of three pets (2 dogs and a cat) that are left in the temporary care of a family friend, hundreds of miles away from home. After a few days they get worried about their family and decide to try to make their way back home. It’s a tale of love, devotion and courage — and its guaranteed to give you all the feels. 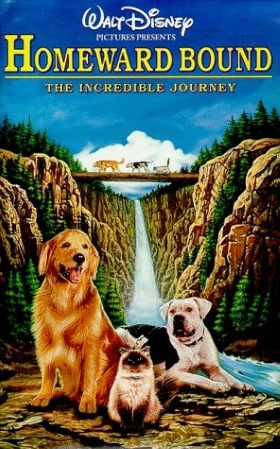 Homeward Bound is based off of Sheila Burnford’s novel The Incredible Journey, and the original film adaptation was released by Disney in 1963. The film’s sequel, Homeward Bound 2: Lost in San Francisco, was released in 1996. Bingo is the story of a young boy who befriends a runaway circus dog named Bingo. 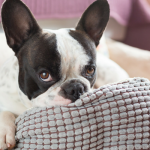 His family disapproves of the dog, and Bingo gets left behind when his family moves. Determined to stick together the boy leaves a trail for his new dog to follow. Bingo sets off and faces many adventures as he follows them cross country. 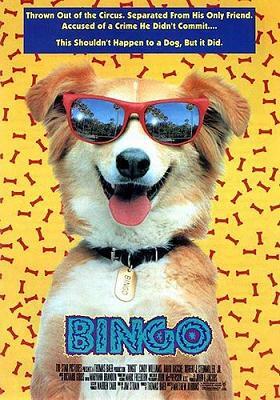 Fun fact: Following a long line of female dogs being portrayed by males in films and television, Bingo was played by a female dog found in a shelter. 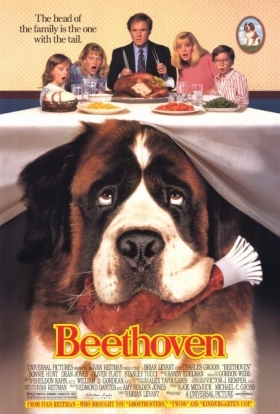 Beethoven is the story of a St. Bernard puppy who gets stolen from a pet store by thieves. After the pup escapes he ends up making his way into the Newton family home. It takes awhile for the father to see Beethoven’s good qualities, but it doesn’t take long before he becomes a beloved member of the family. The pup’s growing size and mishaps lead to many comedic moments. Fun fact: Eleanor Keaton, Buster Keaton’s widow, trained the dog Beethoven for this movie. 101 Dalmatians is the story of a litter of Dalmatian puppies who are kidnapped by a very evil woman who wants to use them to make a fur coat. After the pup’s parents discover that they’re missing set out to rescue their pups. 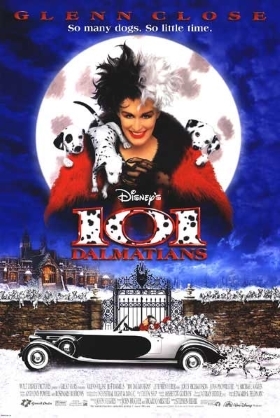 101 Dalmatians is based off Dodi Smith’s 1956 novel The Hundred and One Dalmatians. The original film was an animated feature released by Disney in 1961. Fun fact: Filmmakers rubbed Jeff Daniels’ face with raw hot dogs in order to get the pups to lick him on cue. 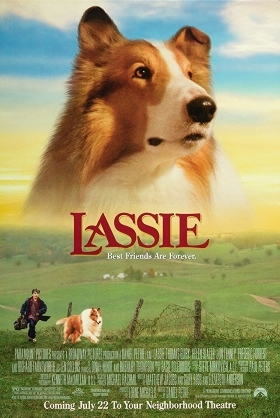 Lassie follows the the story of the Turner family who move from the big city to the country. The families 13 year old son Matt has problems adjusting to his new surroundings, but that changes when the family takes in a stray Collie named Lassie. The novel Lassie Come Home, written by Eric Knight, was published in 1940 and made into a feature film in 1943. Six additional Lassie films followed. In 1954 the classic long running Lassie television show premiered and ran until March of 1973. White Fang is a wilderness tale about a young gold hunter in Alaska. The film focuses on the relationship he forms with a young wolf-dig mix he rescues from a cruel owner who had been mistreating him. 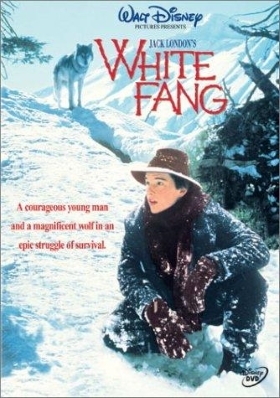 The film is adapted from Jack London’s novel White Fang which was published in 1906. The film’s sequel, White Fang 2: Myth of the White Wolf, was released in 1994. Fun fact: Jed, the wolf/dog hybrid who plays White Fang, also played the dog/alien in The Thing (1982). 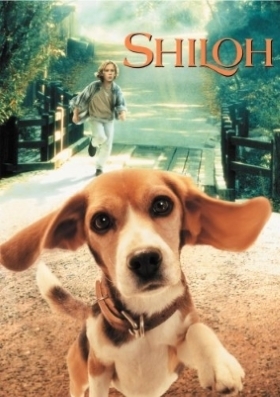 Shiloh is a family drama about an abused Beagle and a young boy named Marty. The dog follows Marty home, and he ends up naming him Shiloh. The film focuses on the bond that develops between the two. The film is adapted from the 1991 Newberry award winning children’s novel by Phyllis Reynolds Naylor. The Shiloh film has two sequels — Shiloh 2: Shiloh Season (1999) and Saving Shiloh (2006). 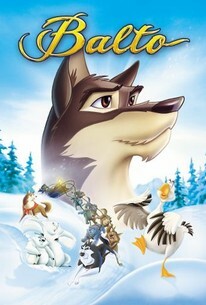 Balto is an animated feature that tells the story of a heroic half-wolf named Balto. When an epidemic outbreak threatens the children in his town, Balto sets off on a 600 mile trip for life saving medical supplies. Balto is loosely based on the true story of a sled dog named Balto who led his team on the 1925 serum run to Nome. The event is honored each March by the Iditarod Trail Sled Dog Race. Iron Will is the story of a young man whose left to take care of his family after his father dies. To save the family farm he decides to join a dog sled race in hopes of winning the $10,000 grand prize. 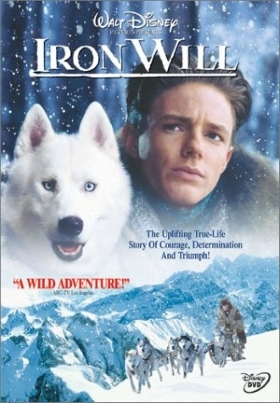 Released by Disney in 1994, Iron Will is an adventure film about courage, devotion and overcoming great obstacles. It’s based on a real life 500 mile dog sled race that took place in 1917. Air Bud is the story of young boy whose struggling to adjust to his new town after his family moves. He ends up befriending a stray Golden Retriever named Buddy, and is surprised to find out that Buddy has a talent for basketball. 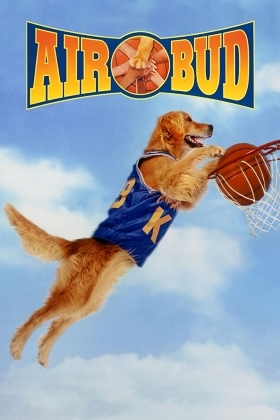 Air Bud is a classic dog comedy movie from the 90’s that turned into a franchise. If you like Air Bud be sure to check out all of the sequels (4 additional Air Bud movies, and 7 Air Buddies films). 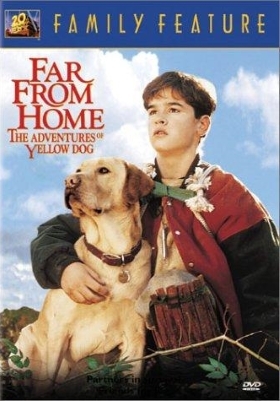 Far From Home tells the story of a 15 year old boy named Angus and the bond he develops with a stray dog he names Yellow. When Angus’ father takes them sailing turbulent waters capsize their boat, throwing Angus and Yellow overboard. Far From Home is a family adventure movie that that follows Angus and Yellow as they face the elements and brave the wilderness together. 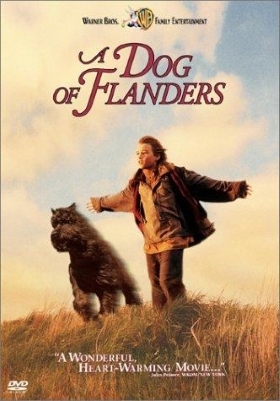 A Dog of Flanders is en emotional story about a boy growing up with his grandfather after the death of his parents. One day the encounter a beaten dog in the woods, and take him home and nurse him back to health. A Dog of Flanders is adapted from the 1872 novel of the same name, written by Marie Louise de la Ramee (published under her pseudonym Ouida). The 1999 version is the fifth film version adapted from the classic children’s novel. 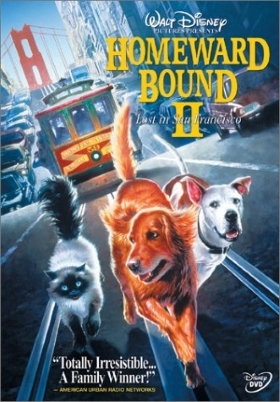 Homeward Bound 2 is a comedy adventure film that follows up with Shadow, Sassy and Chance from Homeward Bound (1993). 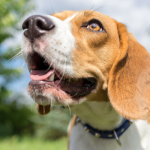 While getting ready to board a flight with their family Chance mistakes the airport workers for dog pound workers, and breaks free from his crate and Shadow and Sassy follow. The animals end up getting separated from their family, and find themselves lost together in the city of San Francisco. The film follows them as they set out to reunite with their family. What Are Your Favorite Dog Movies? Homeward Bound is my absolute favorite dog movies from the 90’s — so much so that I ended up wearing out my VHS copy of it. If you grew up in the 90’s or earlier I’m sure you can relate. I’m nostalgic about a lot of things, but warped tapes isn’t one of them. What do you consider the best dog movies from the 90’s? 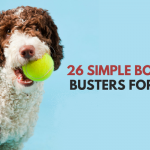 Have you seen most of the ones on this list? Does Homeward Bound give you all the feels, or is it just me? Let me know in the comments below. This post contains affiliate links, if you make a purchase I’ll earn a commission. You can find out more on our disclosure page. Well. I guess some consider it a pig movie, but my favorite dog movie from the 1990s is Babe. In fact, it’s been called the Citizen Kane of talking animal movies. And two that just missed the 90’s are My Dog Skip and Best in Show. I didn’t even think of Babe for some reason – there’s plenty of dogs in it, and it’s such an excellent movie. Best in Show might be my all time favorite dog movie 🙂 I’ll have to check out My Dog Skip. This is a great list to have! I remember when I was young watching Lassie weekly. I could not forget that movie. It is very inspiring!